If you feel you have no emotional control then it feels like anything might happen and there is nothing you can do about it. This makes you feel both frightened and vulnerable. Normally the way you would deal with this makes it much worse. I have created two very short videos that explain what you are doing wrong and how to make it right. I know these will be helpful if you want to feel in control. The only sure way to guarantee feeling in emotional control is to learn how you give it away and then how you can keep it. 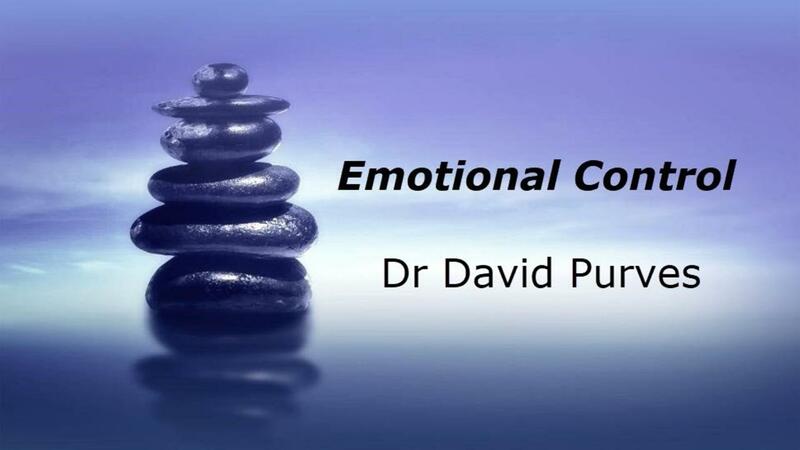 This teaching forms a big part of what you learn when you join The Dr Purves Online CBT courses Bundle. Right now you get 7 days free which gives you an opportunity to try everything out. I know you will be delighted to finally have access to everything you need to take back control from panic, anxiety, depression and stress.